Function: Effective sterilization Based on the hospital principle, the intensive heat of the steam eliminates harmful bacteria. 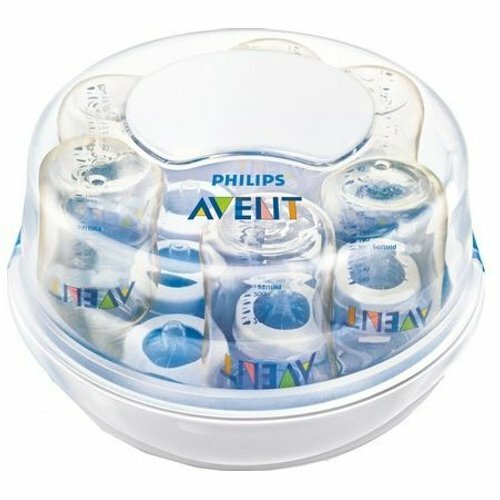 Ultra fast, easy to use Just add water, load and place in the microwave for 2 min. 2 min at 1100-1850 Watt, 4 min at 850-1000 Watt, 6 min at 500-850 Watt. 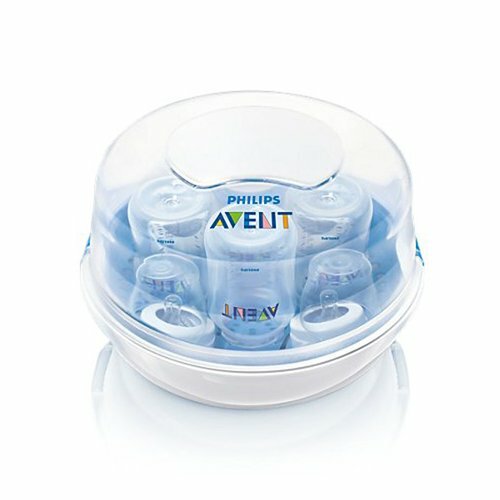 Large capacity Holds up to six 260 ml AVENT Bottles or two Philips AVENT Breast Pumps and two AVENT Bottles. Safe, easy handling Clips close lid securely and side grips stay cooler to aid in safe handling. Compact and lightweight Fits most microwaves. Convenient for travel.